Governor Reynolds following a flood tour of Hornick. Governor Kim Reynolds toured flood damage in western Iowa today. “I continue to be just overwhelmed and impressed and grateful to our emergency managers, our EMS, our first responders, our volunteers, just the community as a whole,” Reynolds told reporters. She started in Missouri Valley, then traveled north to the Woodbury County town of Hornick. Many streets were still flooded. 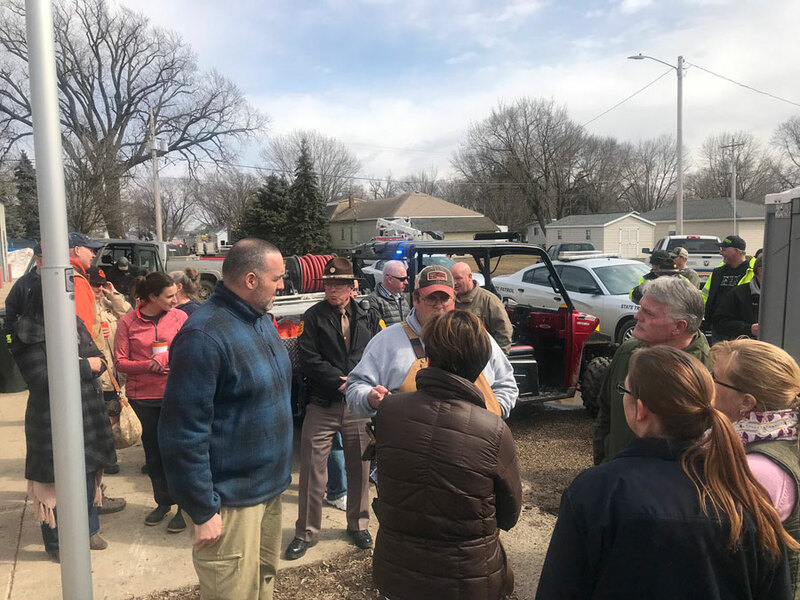 Governor Reynolds tours flood damage in Hornick. 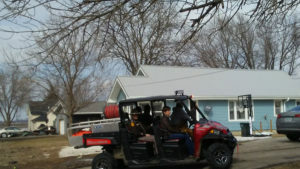 The governor went inside a few of the homes in Hornick, some still with several feet of water in their basements. Thirty-eight Iowa counties are included in the governor’s disaster declaration for this latest round of flooding. Reynolds will tour flood damage in Hamburg, Pacific Junction and Montezuma on Monday.